Bloomberg, the business news and data service, is upping the frequency of its luxury magazine, Bloomberg Pursuits, from biannual to quarterly. The title was launched in March as a biannual magazine, distributed as an extra with its monthly Bloomberg Markets magazine, which is sent out to around 380,000 subscribers to the company's Bloomberg Professional Service. 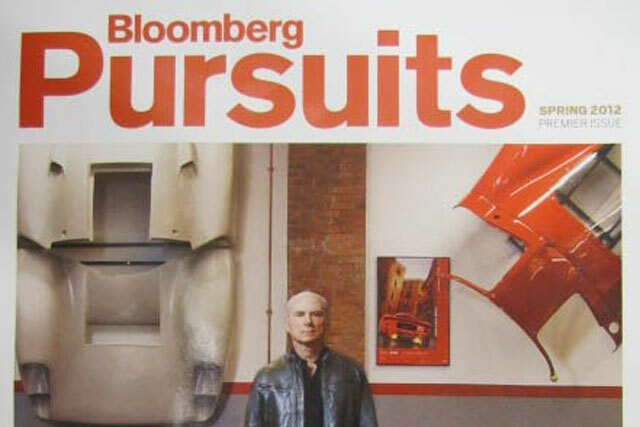 According to Bloomberg, Pursuits has been "so successful" that the decision has been taken to make it quarterly from early 2013. For the coming November issue, Bloomberg Pursuits hired former Condé Nast editor John Birmingham as the fashion editorial consultant, as there will be twice as much fashion editorial, including a tuxedo package shot in the UK with one of the stars of 'Downton Abbey'. Bloomberg claims that so far there has been advertising interest from Ralph Lauren, Bergdorf Goodman, Ritz Carlton, Audemars Piguet and Brooks Brothers. Laurie Benson, EMEA director at Bloomberg, told Media Week that the new magazine gave advertisers access to an otherwise elusive audience across all platforms. She said: ""When we sell to a client in this title, it's not just about the magazine, it's a complete communication across a platform to an audience that is almost impossible to reach". Bloomberg claimed that "as the luxury market grows, more and more advertisers have come to appreciate the Bloomberg Markets audience", and that its advertising pages, including Bloomberg Pursuits, were up 70% year on year. Bloomberg recently named Damian Douglas as its new digital commercial director, EMEA, in a move aimed at strengthening the company's broadcast and digital media sales team.